These cute bags are not only stylish, but they are functional, too! 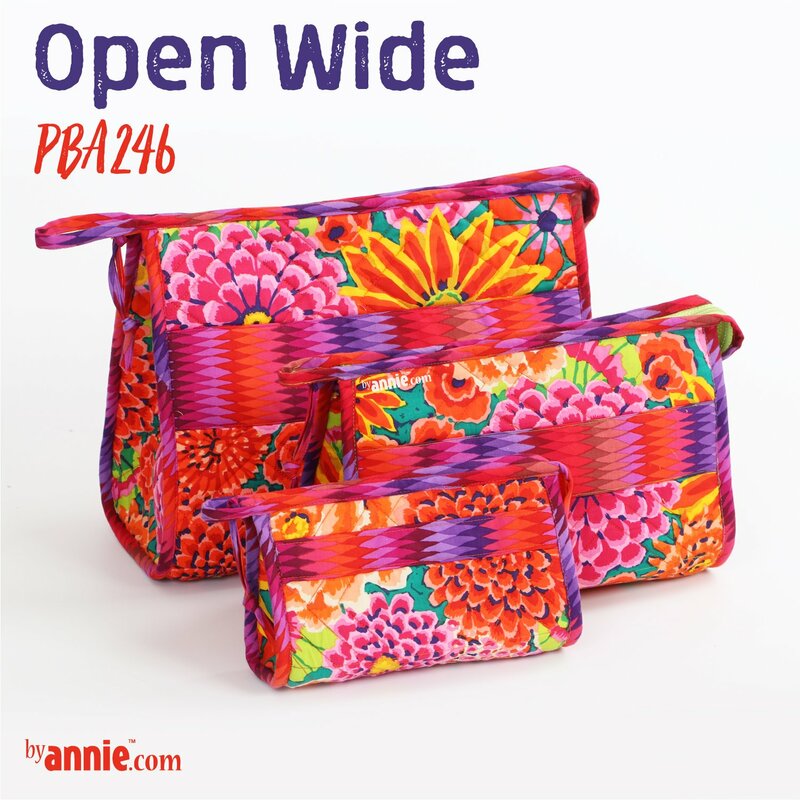 You'll love their design which allows them to open wide for easy access to all their contents. Use them to carry cosmetics or toys, to store makeup in your gym locker, or to organize lists and purchases while running around town. Now that you've mastered our "normal" style of zipper installation, it's time to learn something new! Open Wide! features a brand-new style of zipper installation as well as a different method of binding the edges of the zipper. This method not only finishes off the raw edges but also forms a great little grab handle. Learn to make a zipper tab to finish the end of the zipper, too. How will you use Open Wide?